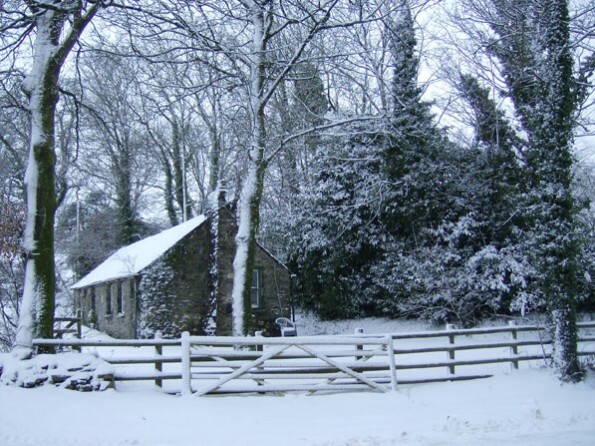 Venture down a leafy country lane & over an ancient stone bridge to find Penyrallt Fach Cottage, a 19th century former piggery, now a delightful cottage on a secluded organic dairy farm overlooking the beautiful Teifi Valley in West Wales. Sleeps 4. Wood burning stove. Dogs (up to 2) welcome. This particular corner of West Wales is perfectly situated for discovering the glorious coastline of Cardigan Bay, the Cambrian Mountains and the spectacular scenery of Pembrokeshire and the coast-path of the Pembrokeshire National Park . 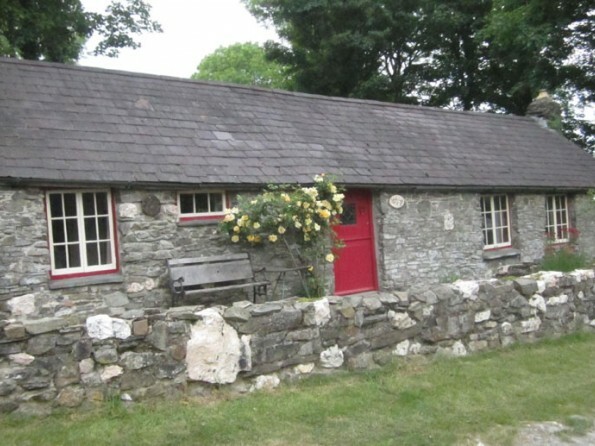 As well as superb beaches and hills there are many wonderful historic sites to visit. The area abounds in ancient sites, burial chambers, forts and superb castles, reminders of Wales’s ancient and turbulent past. There are many lovely gardens such as Aberglasney and Picton Castle and the National Botanic Garden of Wales to visit and also several National Trust properties. 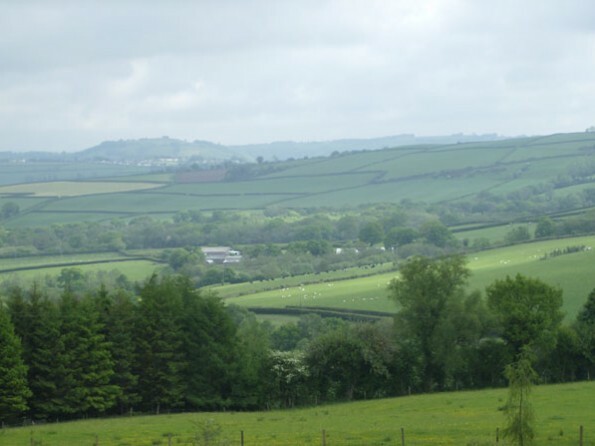 The small, old market towns of the area are worth visiting, such as Llandeilo, Tregaron and Narberth. Cardigan is very attractive and has a fascinating history as a major port in times gone by, while Lampeter is important as a university town, as is Aberystwyth. 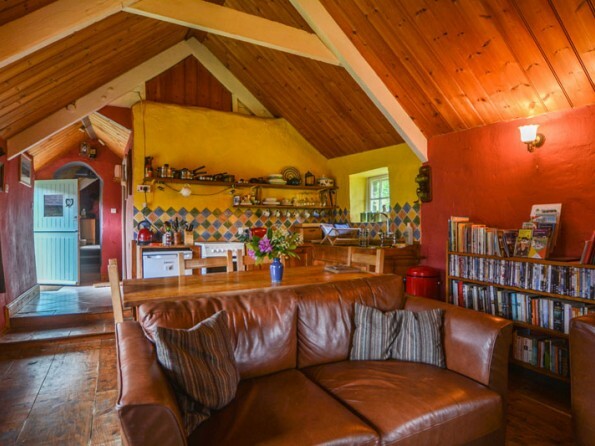 With wood-lined ceilings & richly coloured decoration the cottage is cosy & traditionally furnished with a fully equipped open-plan kitchen/sitting room. 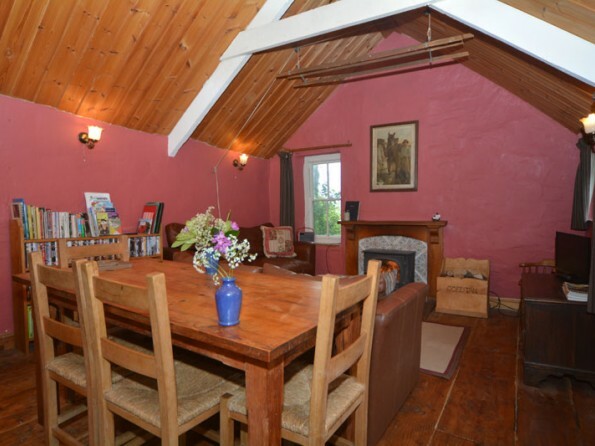 There is a farmhouse table with seating for 4 & a comfortable sofa & easy chairs & wood-burning stove. 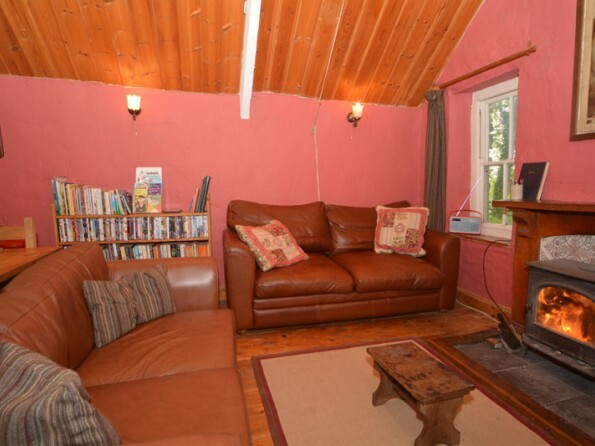 Many books, dvds & board-games, a digital radio with iPod dock & dvd player (no TV) are provided with which to relax by a roaring fire after long walks on the beach or up in the hills. There is WiFi in the cottage. On arrival guests will find a fresh home-baked cake and flowers from the garden on the table. 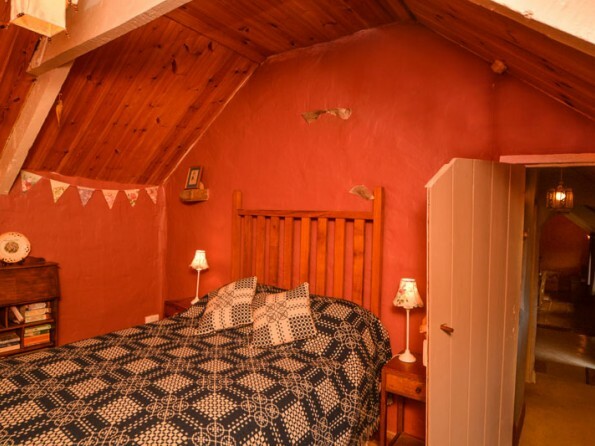 The two bedrooms, a double & a twin are simply & attractively furnished.The double bed has a luxurious organic wool duvet & the twin beds also have organic wool duvets. 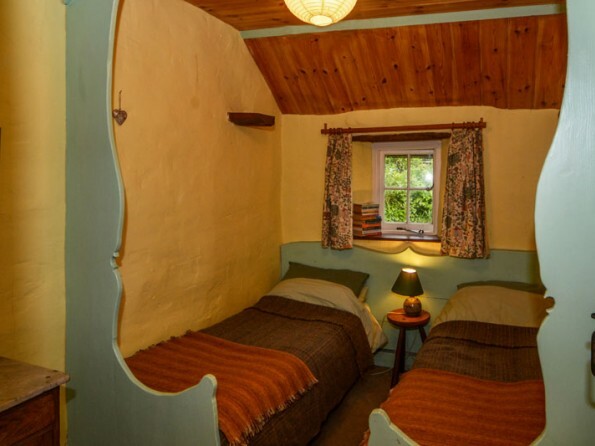 All the beds have lovely locally woven Welsh wool counterpanes. There are electric heaters in both bedrooms. The bathroom has a bath, wash-basin, lavatory & heated towel-rail & washing-machine. 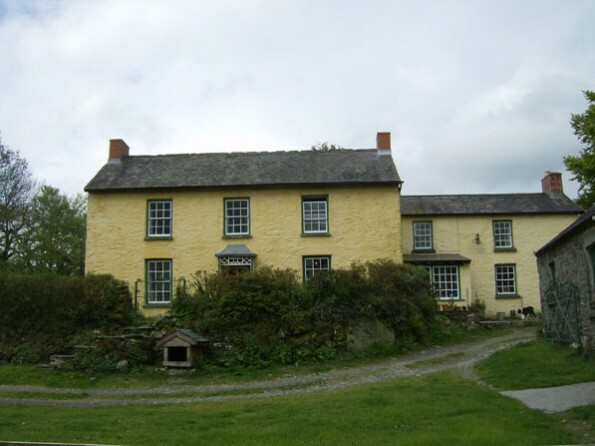 There is a small lawned garden with views over the Teifi Valley & the fine Grade 2 listed stone farm buildings. 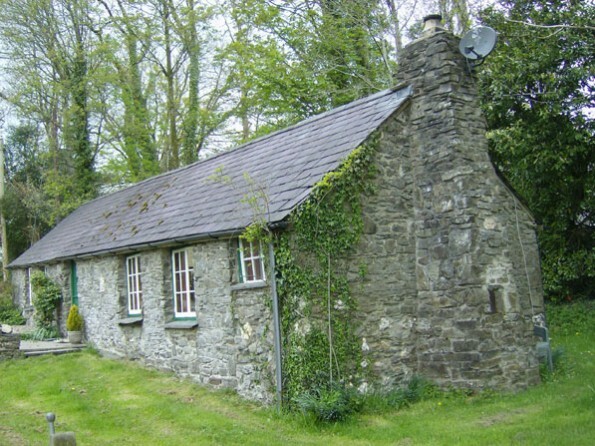 The cottage is an ideal base from which to discover the beauties of West Wales. The beaches of Cardigan Bay are only 30 minutes away and the Pembrokeshire National Park and Coast Path are within easy reach. Saint David’s, the smallest city in Britain, is within easy reach and well worth visiting to see the ancient cathedral and Bishop’s Palace. There are a large number of artisan food makers in the area and many of them are open to the public. 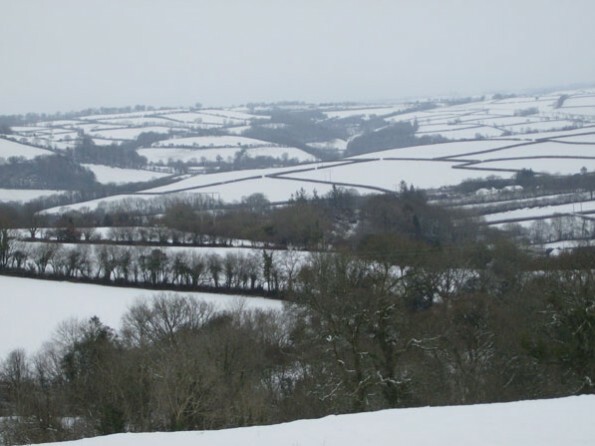 As well as food producers the region is renowned for the number of artists and craftspeople who have come to the area inspired by the diverse landscapes and marvellous light. There are many galleries and studios to visit. 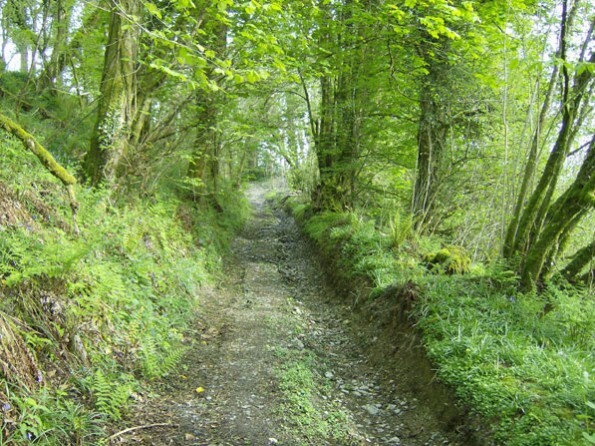 For walkers there are the spectacular Pembrokeshire & Ceredigion coast-paths and there is also excellent walking to be found up the hills inland in the Preseli mountains of Pembrokeshire and the Berwyn & Cambrian mountains of Ceredigion and Mid-Wales.